Leading Essex Law firm Thompson Smith and Puxon (TSP) is pleased to announce the appointment of Jolyon Berry Ltd as a new partner in the firm. Employment Solicitor Jolyon, the director of Jolyon Berry Ltd, has joined the TSP Business Services Team and brings the total number of partners at the expanding Colchester and Clacton-based firm to 12. Jolyon started his career at a Magic Circle firm and joins the TSP Employment law team from Birketts where he has been a partner since 2006. 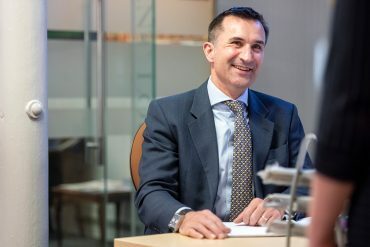 He has over 18 years’ experience and advises clients on all aspects of Employment Law, delivering solutions-based advice and supporting clients in the day-to-day management of their people, legal issues and risk. Working on a strategic and operational level on both contentious and non-contentious matters his work includes advising on contracts of employment, disciplinary procedures, the enforcement of restrictive covenants, employment policies and procedures and settlement agreements. 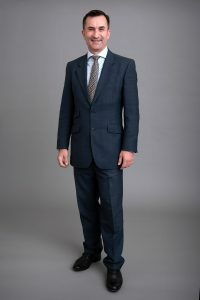 He is a trained commercial mediator and makes effective use of these skills assisting employers with employment disputes, in the workplace and in the boardroom, and is particularly experienced in the defence of employers facing claims in employment tribunals. Clients also regularly seek Jolyon’s advice on the management of collective consultation projects prior to a work relocation, redundancies or transfers of employment. He frequently delivers in-house training as well as hosting regular seminars for clients and HR professionals on the ever-changing area of Employment law. Whilst he is based in TSP’s Colchester office Jolyon regularly travels to meet clients and prospective clients at their business premises.